How Much to Feed Fantail Goldfish? A fantail goldfish is distinguished by its long, flowing tail. It is important to feed your fantail goldfish no more and no less than the proper amount. 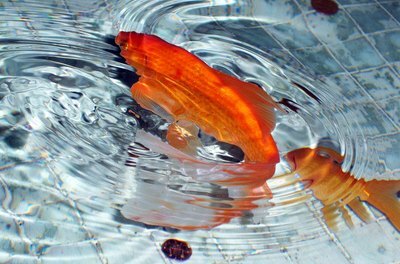 Underfeeding your fish can cause health problems; overfeeding can pollute your tank, threatening the health of your goldfish. A simple rule of thumb helps you know how much to feed your fantail goldfish. 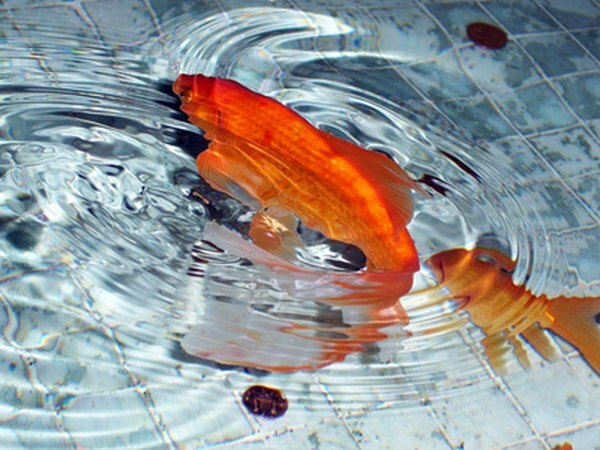 Before figuring out the proper amount you should feed your fantail goldfish, select a proper food. You can get fish flakes specially formulated for goldfish at most pet shops. Their dietary requirements are slightly different than those of other aquarium fish. Besides flakes there are copious options. You can periodically give your fantail goldfish frozen or freeze-dried foods as a special treat. There are several fish-feeding rules of thumb floating around, but try the five-minute rule. It takes into account the amount a fish can eat and it's easy to follow. You feed only the amount of food your fish can eat in about five minutes. You do not have to track it to the second, but any food uneaten in about five minutes will probably just rot in the tank, so siphon or net out the excess after five minutes, and learn just how big a pinch is right over time. You should feed an adult goldfish two times a day. Goldfish less than a year old should get fed more often, ideally three or four times a day. Like humans, fish can suffer obesity and other health problems directly from overeating. In a fish tank, overfeeding can cause other problems. Extra food collects in the tank and rots, and more food means more fish waste. The fouled water can weaken and kill fish. Keeping up on aquarium maintenance can mitigate problems from overfeeding. If you find that you have to leave your fish for several days, it's OK; fantail goldfish can occasionally skip a meal or three without harm. In the wild, fish often find themselves without food for stretches of time. However, if you leave for more than a weekend, you should make other arrangements to avoid hurting your fish. What Kind of Nutrients Do Goldfish Need to Live? How Much Does One Feed a New Puppy?